One of the major challenges facing the high-tech industry is diversity in tech, not only in terms of gender but also racial diversity. 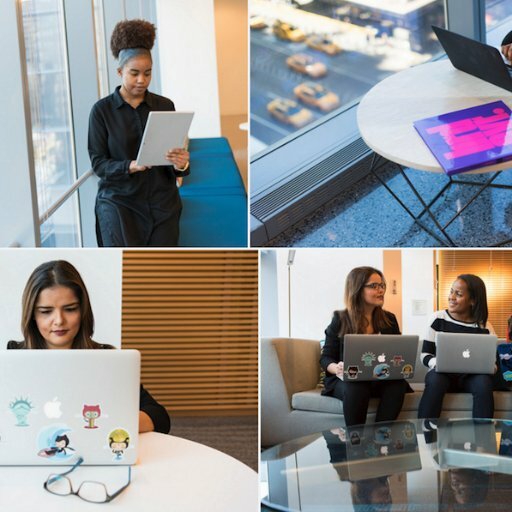 I came across a great initiative by a group known as the Women of Color in Tech chat, or #WOCinTech Chat, which touches on the need for great stock photos. That may sound a little weird but bear with me. I think it is really smart. Although I’m not involved in advocacy for diversity in tech organisations and I only really have a passing familiarity with the issue, it seems to me that increased visibility of non-white people in the industry is an important step towards creating more a more diverse industry. This initiative is really clever. #WOCinTech Chat created a collection of Creative Commons licensed stock photos that anyone can use under a very permissive Creative Commons Attribution license. The images are the kinds of photos you’d often want to use in blog posts and even ad campaigns. The CC BY 2.0 license only really requires attribution. Beyond that, you can even make commercial use of the images. That said, it’s worth pointing out that some of the images contain branding that is protected by trademark law so that may influence how you can use the images from that perspective. What is so smart about this initiative is that the photos feature non-white women so the more people use these images, the more visibility the issue of diversity in tech receives. It creates awareness without preaching. I often use stock photos and I tend to use Librestock for its collection of (mostly) CC0 dedicated photos (CC0 is basically a release into the public domain – totally free to use without any restrictions or conditions). This collection from #WOCinTech Chat is a really great addition to the options available to me and it gives me a mutually beneficial way to promote this important issue. Also, as an amateur photographer with a strong preference for CC licensed content as a general proposition, this initiative really appeals to me personally. It is yet another example of how open licensed content can have a profound impact. All you need to do is think a little differently. The images I have used in this blog post are from the #WOCinTech Chat collection and are licensed CC BY 2.0. This is so great! Thank you for highlighting this – it’s a common (all too common!) problem for me in my work, and knowing that there’s an image repository that’s useful in this way is excellent! Thank you! You’re welcome. It’s a great resource.